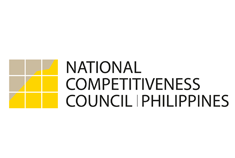 MANILA—The Philippine economy’s remarkable growth of 7.7 percent in the first half of 2013, along with the government’s investments in social development programs, significantly reduced poverty in the period, possibly marking the beginning of an appreciable downward trend in poverty incidence, according to the National Economic and Development Authority (NEDA). The Philippine Statistics Authority (PSA) revealed today that 24.9 percent of Filipinos were considered poor based on their average income in the first semester of 2013, down from 27.9 percent in the same period in 2012. In terms of families, poverty incidence likewise declined to 19.1 percent in the same period from 22.3 percent in 2012. “The remarkable improvement in the poverty incidence in the first half of 2013 is evidence that the Philippine’s development strategies are heading in the direction of inclusive growth,” said Economic Planning Secretary Arsenio M. Balisacan. “Sustaining rapid economic growth while maintaining a sound macroeconomic environment has proven to be effective in reducing poverty,” he added. For the first time, official poverty statistics used the income data from the Annual Poverty Indicator Survey (APIS). Previous estimates were based on the Family Income and Expenditure Survey (FIES), which is being conducted every three years. The PSA also reported that subsistence incidence, or the proportion of extremely poor Filipino families or individuals who could not afford to meet their basic food requirements, declined in the period to 7.7 percent among Filipino families and 10.7 percent among Filipinos. “This is the first time that subsistence incidence was reduced to single-digit levels,” said Balisacan, who is also NEDA Director-General. Meanwhile, the per capita family income for the first, second and third deciles posted growth rates of 12.3 percent, 8.4 percent, and 8.4 percent, respectively. “The faster growth of poor households’ income compared with the slower increase of basic commodity prices implies a robust increase in real incomes of the poor, which played a significant role in reducing poverty during the period,” the Cabinet official said. Balisacan also cited the continued implementation and enhancement of the government’s social programs that helped improve the welfare of a greater number of poor through increases in income. Among them is the broader implementation of the Conditional Cash Transfer (CCT), or Pantawid Pamilya Program, in terms of both coverage and scope. The Department of Social Welfare and Development, which implements the program, adopted a convergence strategy in 2012, where CCT beneficiary families also benefitted from the agency’s two other major programs, namely the KALAHI-CIDSS and the Sustainable Livelihood Program. “These three major programs provide support and capacity-building at the levels of both families and communities, and therefore address the major constraints faced by the poor, such as inadequate community infrastructure, lack of finance capital and low quality of human capital,” said Balisacan. The NEDA official highlighted the need to sustain the decline in poverty over the next years through continued aggressive implementation of programs resulting in rapid and sustained economic growth and reduction of poverty in all its dimensions. “The government should continue to undertake the necessary measures to sustain high economic growth and efficiently implement spatially and sector-focused economic and social programs as laid out in the Philippine Development Plan (PDP) Midterm Update. There is also the urgency of speeding up recovery and reconstruction efforts in disaster-affected areas to ensure that the gains in poverty reduction are sustained,” said Balisacan.